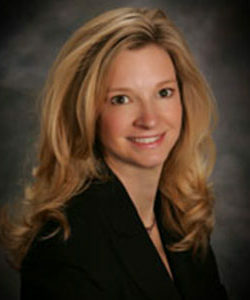 Kelly Cobb MD was born and raised in Lafayette, LA and graduated from STM in 1988. She went on to pursue a career in medicine as she graduated with her MD from LSU School of Medicine and holds degrees from the University of Texas in psychology, humanities and communications as well. As a board certified internal medicine physician, Dr. Cobb has also acted on the on the Board of Directors of Iowa City Hospice and is board eligible in geriatrics. She is also certified in age management medicine through Cenegenics Institute and has completed training at the Center for Medical Weight Loss with Dr. Michael Kaplan. As a partner in her patients’ journey for optimal health, Dr. Cobb creates an open dialogue for asking questions and listening with her patients in order to build a strong relationship. Dr. Cobb believes that health equals self-confidence, which means sustained nutritional support and wellness potentiates a person’s abilities to set and reach goals. As she studied dermatologic manifestations of disease and nutritional deficiencies, Dr. Cobb became more interested in medical aesthetics. She has followed this passion by becoming more informed in current research and technology designed to repair and benefit the appearance of skin. With her certification in the use of dermal fillers, botox, and sclerotherapy through Aesthetic Advancement, she has been trained and certified to operate the Aesthera, Sciton and Clear and Brilliant lasers as well as the Apollo Tripolar device. Outside of work she has interests in music of all kinds, travel, modern art, world history, philosophy, outdoor activities, philanthropy, and enjoys spending time with her family and friends.